The good folks at Sonnox have given us two plugins to try! 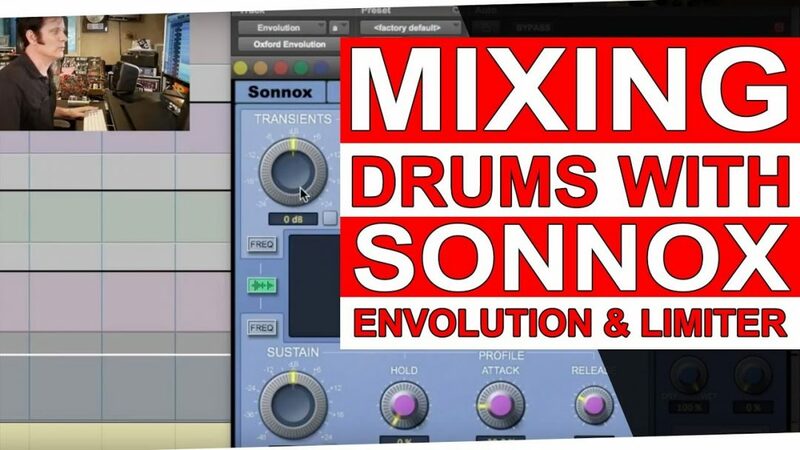 The Sonnox Oxford Envolution and the Sonnox Oxford Limiter. I’m very excited to try these out because I’ve heard really good things about both of them- particularly the Envolution. I’ve been recommended to try the Envolution on a drum bus. We’re going to try these plugins out on a song by Robert Jon And The Wreck called Gypsy of Love which was recorded at Sunset Sound. It’s part of an album that was recorded live in a day. There are no drum samples on this track. Sonnox has also been gracious enough to give us 3 copies of these plugins to giveaway! 3 lucky winners will get both plugins! All you have to do is enter the giveaway above for a chance to win! Thank you so much Sonnox for letting us use these plugins! I will definitely be using them a lot. Having crafted and refined your mix, join the growing number of professionals who’ve chosen the new Oxford Limiter v3 to deliver maximum loudness, density and presence – whilst retaining the kind of clarity and transient detail that conventional brick-wall limiting can’t. The Plug-In is a true peak limiter that offers recently enhanced levels of processing and metering accuracy. The result is that you get to see and automatically correct otherwise invisible reconstruction overloads – and conform to the accepted industry ITU-R BS.1770-4 standard. Whether you’re after the Oxford Limiter’s hallmark transparency or heavier creative effects, its advanced look-ahead processing and unique Enhance function provide the sample-value limiting and musical boost needed to reliably avoid clipping and confidently increase apparent loudness.